How do I send an SOS alert? 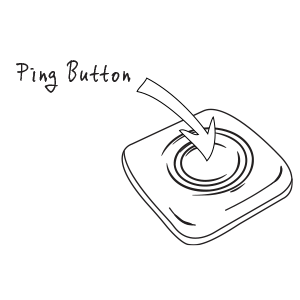 To use Ping to send an SOS alert, press & hold the Ping Button. After 3 seconds of holding the Ping button, the LEDs will begin to glow red. When the LEDs are glowing red, release the Ping button. The LEDs will flash cyan to confirm the SOS Alert request, and as the device attempts to send the SOS alert message. The LEDs will flash green and the buzzer will sound when the SOS alert message has been successfully sent. The LEDs will continue to flash cyan as Ping attempts to lock onto GPS for a more accurate location. The LEDs will flash green and the buzzer will sound when the final message of the SOS alert sequence is sent. This will be a message with either the GPS coordinates returned, or a message indicating that the location shown on the app's map view is an approximation based on cell towers, because GPS location was not available.